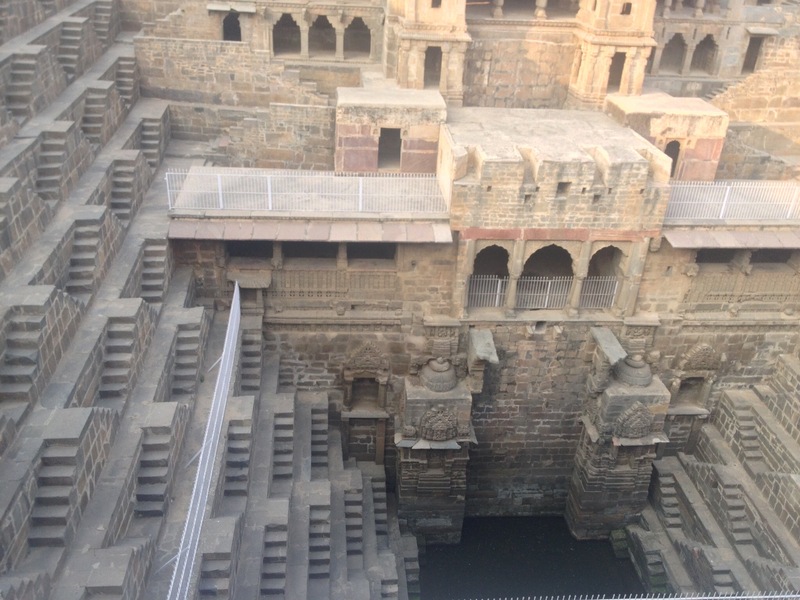 A couple of months ago, I visited a stunning architectural wonder, Chand Baori, an ancient step well from the 9th century. 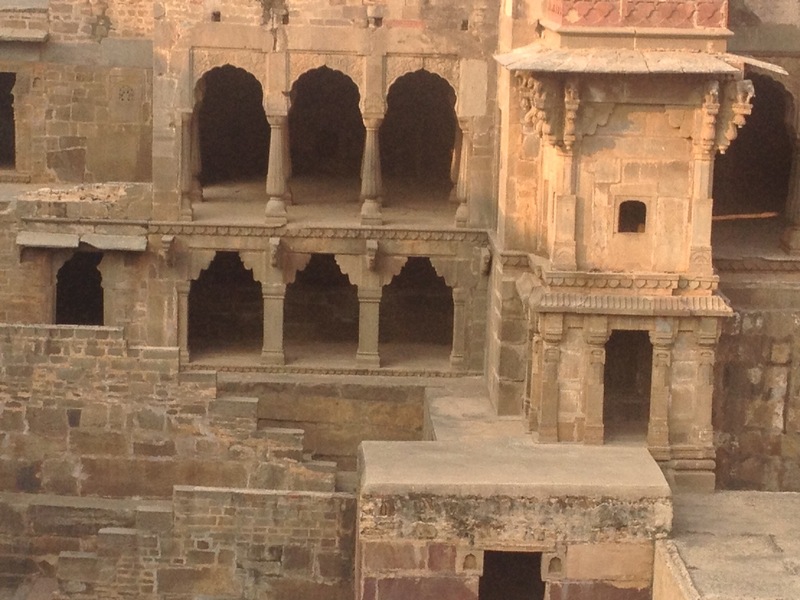 This is situated in Abhaneri village in Alwar District of Rajasthan, India, about 100 kilometers from Jaipur. 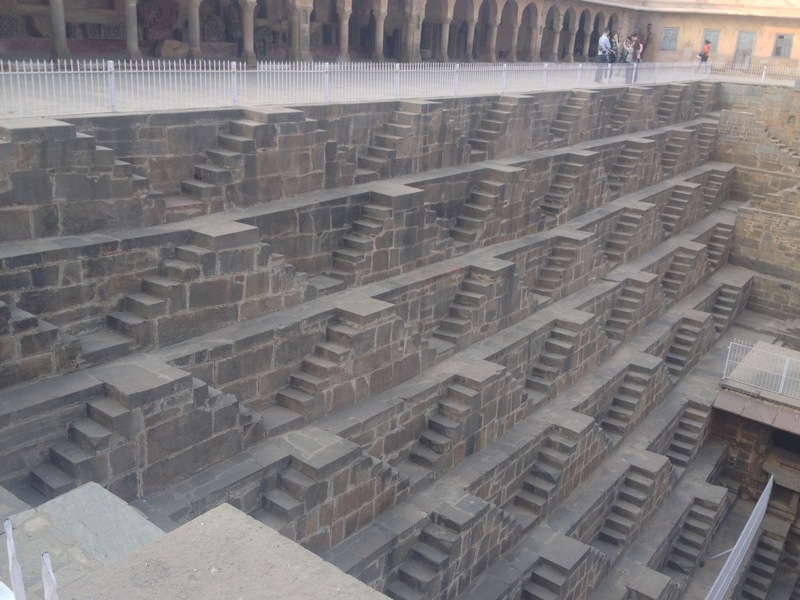 The water collected during the monsoons became accessible, however low the level, because of the steps. 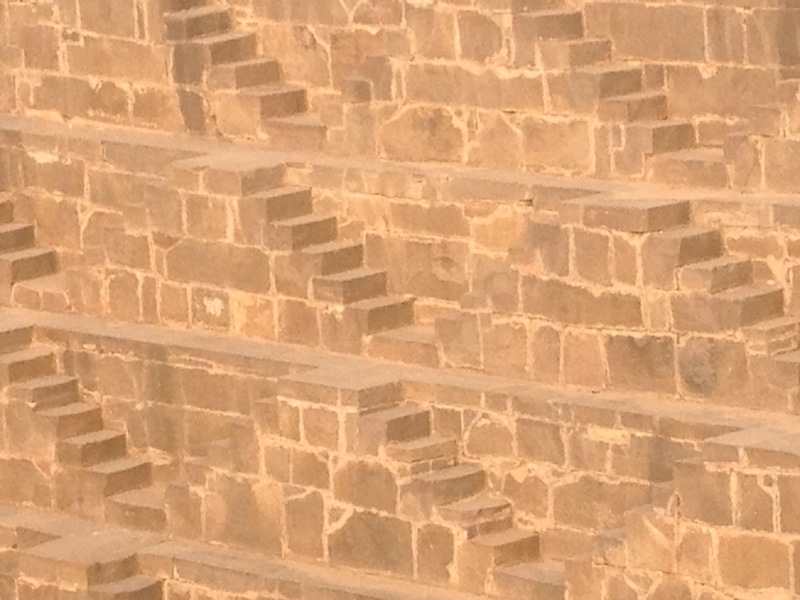 There are 13 storeys of steps. 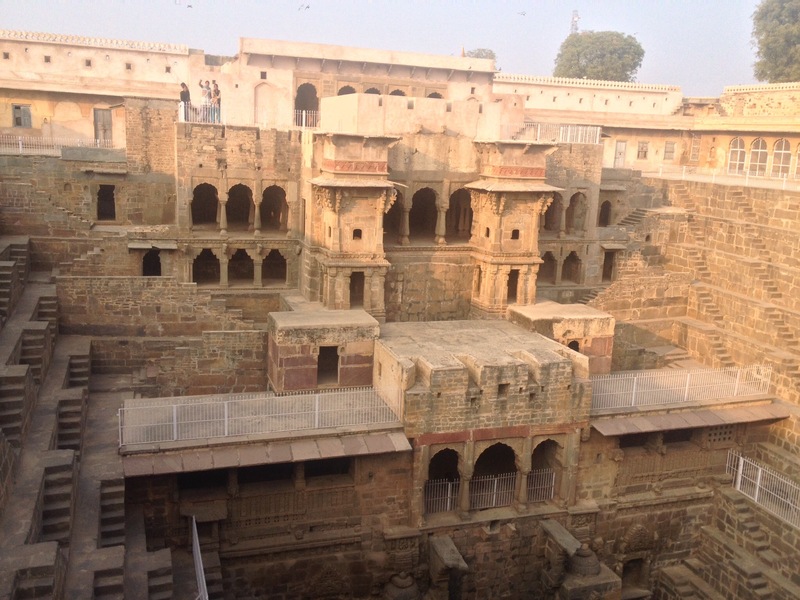 the gallery on the top ( ground) level is being developed into a museum to store all the sculptures from the nearby Harshat Mata temple, which is falling into ruins. Such construction projects were usually taken up as drought relief measures, to provide employment to the farmer subjects when the crops failed. I took a lot of pictures of the gorgeous sculptures in the nearby Harshat Mata temple too. Watch out for the post! Magnificent! Thank you for sharing. I know so little of Indian history and will have to do some reading. Look forward to more pictures of your travels. Previous Previous post: A Milestone of Sorts!